Christmas is soon approaching and little Hobb has already unboxed his super mini Christmas tree! I was at home when he took the Christmas tree out with his nanny. I let the two of them do the decorations while I was into something. By the time little Hobb told me that they were done, I was in shocked to see that the Christmas tree was only partially decorated. After a full day of sitting on the display table, I thought the mini Christmas tree has to be redecorated and that was what I did the whole evening after coming home from school. 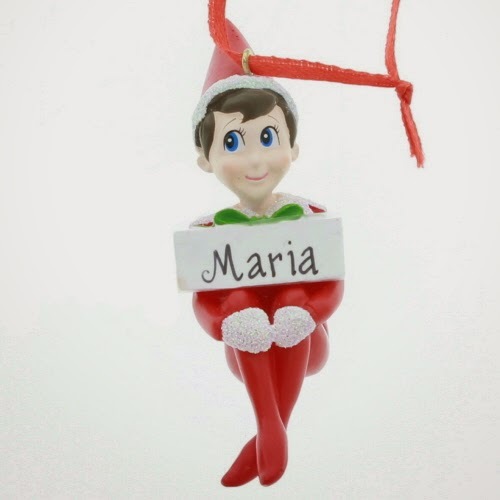 Of late, I really enjoy looking at Christmas ornaments for elf on the shelf!